We made the trip to Ypres for the ceremony to commemorate the centenary of the death of Noel Chavasse, of the Royal Army Medical Corps and a double VC, on 4 August. I also wrote a number of fairly long posts about cousin Noel just before we made the journey, and on the way up (it’s 1000kms from Bordeaux), and soon after we returned. Once again, many thanks to the scores of people who got in touch. Here is a list of the articles and links in one place, as much for my reference as anyone else’s. 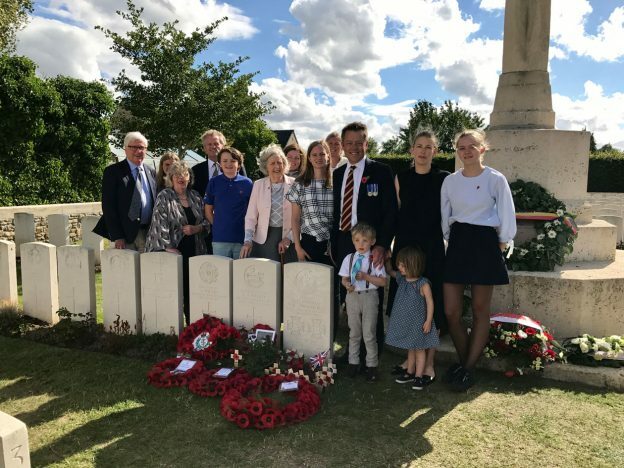 Centenary commemoration for Captain Noel Chavasse, Royal Army Medical Corps, double VC – Part One. Background and a Military Cross. Centenary commemoration for Noel Chavasse, double VC – Part Two. Noel gets engaged. Centenary commemoration for Noel Chavasse, double VC – Part Three. The Somme. Centenary commemoration for Noel Chavasse, double VC – Part Four. Passchendaele. Centenary commemoration for Noel Chavasse, double VC – Part Five. Epilogue. Centenary commemoration for Noel Chavasse, double VC – Part Six. The ceremony. Noel Chavasse, double VC – an extraordinary reply.